When Sydney Matsuda-Fong (’17) first decided she wanted to be a nurse, there was a very specific need she wanted to fill. “I wanted to work in a rehabilitative capacity with victims of human trafficking,” she explained. 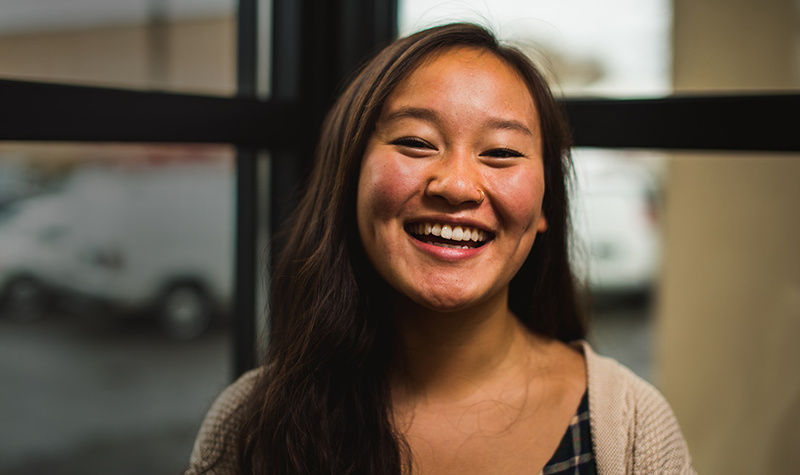 While still a passion she holds very closely to her heart, Matsuda-Fong’s experience in the nursing program at Gonzaga and her career intentions have blossomed. She loves the practice of empathy in giving care to patients, and the Jesuit tenet of cura personalis has become a driving force in all Matsuda-Fong’s pursuits. In addition to the evolution of her goals, Matsuda-Fong has also seen a transformation in her ideas about mental health. Her psychiatric rotation at Eastern State Hospital was one of her favorite experiences as a Zag and provided her with an unexpected moment of appreciation. On top of her rigorous schedule as a nursing student, finding time to be so involved is something Matsuda-Fong wouldn’t be able to do without her scholarships. She is extremely grateful for your support and is very much looking forward to putting her education and the motivation she takes from her Gonzaga experience into the healthcare field and beyond. Make a scholarship gift today and have in impact on Zags like Sydney and through them, the world.